“Fast and Furious” star Tyrese Gibson is in talks join Jared Leto in “Morbius,” a film based on the Spider-Man villain of the same name. Exact details of who Gibson would play are currently unknown. EXCLUSIVE: Jared Harris, perhaps best known for roles in AMC’s Mad Men and Netflix’s The Crown, has signed on for the Daniel Espinosa-directed the Spider-Man Universe spinoff, Morbius, at Sony Pictures. Sony Pictures has set official release dates for its Spider-Man spinoff Morbius and Jason Reitman's new Ghostbusters. Ghostbusters has a July 10, 2020, release date, and Morbius — starring Jared Leto and based on Marvel's vampire antihero — will come out three weeks later July 31. The studio also has a placeholder for a Marvel pic on October 2, 2020. That's likely now to be Venom 2. Matt Smith is in final talks to join Jared Leto in “Morbius,” a film based on the Spider-Man villain of the same name. Exact details of who Smith would play are unknown at this time, other than it being a major role in the film. EXCLUSIVE: Adria Arjona is in talks to play Martine, the female lead in Sony’s Morbius feature film which has Jared Leto starring. She would play Martine Bancroft, who in the comics was engaged to Dr. Michael Morbius, a scientist who suffered from a rare blood disease and turned himself into a living vampire while seeking a cure. Collider: There’s a lot of stuff going on in the Spider-Man universe that Sony is hoping to bring to life. I’m curious where you’re at with some of these other projects, and what do you think might be the next one? MATT TOLMACH: Morbius is the next one. So Jared Leto is definitely doing it? Do you know when you start filming? Jared Leto, who played The Joker in Suicide Squad, is looking to add another comic book character to his resume. Daniel Espinosa, the Scandanavian filmmaker who helmed Safe House and last year's sci-fi thriller Life, will direct the feature project that has a script by Burk Sharpless and Matt Sazama, the duo showrunning Netflix’s Lost in Space. 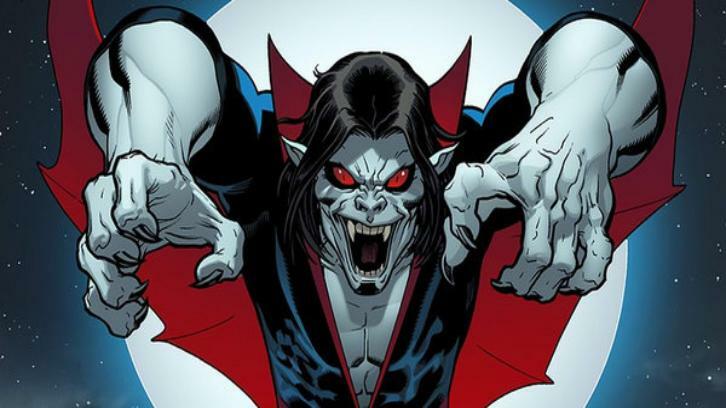 Burk Sharpless and Matt Sazama, who worked on the recent Power Rangers movie, wrote the script for Morbius, which was just submitted to Sony after a secret development process.